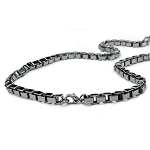 Flat, interlocking "curb" links give this polished 24" stainless steel chain an urban look. One of classiest necklaces for men, this edgy style is made from durable 316L stainless steel and fastens with a secure lobster clasp. 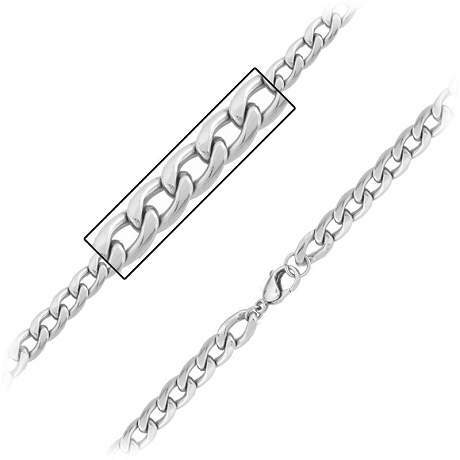 A great looking chain on its own, it also works well with a pendant. I got this as a gift for my son. 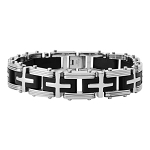 It is very beautiful and also very sturdy.